There has been tremendous growth in the specialty finance and alternative lending space over the last few years. With the advent of technology, new financial companies pop up almost daily. But there is one type of business financing that’s been around for hundreds of years, factoring. The best part is the business doesn’t incur any debt for this financing. Now that you know the invoice factoring basics like what is factoring, its time to start looking at invoice factoring companies, or factors. What are Invoice Factoring Companies? Invoice factoring companies, sometimes called accounts receivable factoring companies, provide immediate funding to businesses by purchasing the businesses’ outstanding invoices. The invoices (also known as accounts receivable) are bills the business sent its customers for services rendered. In other words, the payment is not made up front for a variety of reasons. The invoices come with payment terms which dictate how long the customer has to make good on its payment. The business doesn’t want to wait 30, 60, 90 days (up to 150 days in the medical industry) to get paid. And in some cases, the business can’t afford to wait and require immediate cash flow for buying materials to fill an order, repaying debt or making payroll. So, after weighing the Pros and Cons, it decides to sell its outstanding invoices to an invoice factoring company. The invoice factoring company will typically advance between 80%-95% of the invoice amounts, known as face value. This cash advance allows businesses the funding they need to run their day to day operations. Obviously, the amount of the cash advance is dependent on the credit worthiness of the business’ customer (also known as the account debtor) as well as the amount the invoice has been outstanding and unpaid. The factoring companies don’t want to be left holding the bag in case the account debtor doesn’t pay. Factors adjust their advance rates and fees to match the levels of credit risk they determine is appropriate for each account debtor. Invoice factoring companies understand the needs of small businesses because they are typically small businesses themselves. While there are a few well-known players in the industry such as Fleet One Factoring, Bluevine, Riviera Finance and Apex Factoring, the majority of invoice factoring companies are mom and pops that have been funding small business for decades. In fact, more than 68% of invoice factoring companies have net funds employed of less than $25 million according to a 2015 survey by the Invoice Factoring Association, IFA. What you get from these companies is personalized service since it is their own money at stake. When you enter into a factoring agreement with an invoice factoring company, you will soon understand that they feel more like a partner than a provider because once they purchase your invoices, they have a vested interest in getting paid by the account debtor. So, they focus on the collection efforts just as much as you would. And unlike many debt collection agencies, invoice factoring companies know the right way to collect from your customers and have decades of experience in collections in some cases. In many cases, businesses hate having to do the collections themselves. Find an invoice factoring company that is knowledgeable within your industry. Many small business owners like to deal with local, niche factoring companies. Certain industries lend themselves to slow payment terms. This is seen in the health care, trucking factoring, construction, manufacturing, staffing, oil & gas and printing industries. 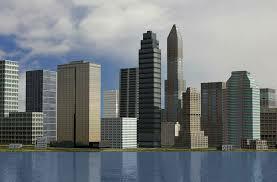 The construction industry is an example of what can be a very profitable industry. But with layers upon layers of suppliers, contractors, sub-contractors, etc. the cash flows can be inconsistent to say the least. Also, any industry that has the government as one of its clients knows it can be a double-edged sword. On the one hand, they are often lucrative contracts that will be paid. On the other hand, even though you know you’ll get paid, it won’t be soon. The government knows that everyone wants to contract with an entity with essentially unlimited resources, so they can make the most of these existing business relationships. Often, this means payment terms that are more advantageous for the government than the small business. When shopping around for invoice factoring companies, it is a good idea to deal with a factoring company that specializes in your industry. While almost every invoice factoring company will advertise that they serve a variety of industries, which they do, they invariable specialize in one, maybe two industries. That being said, there are several invoice factoring companies that truly are generalists by nature, and offer invoice financing for a variety of different industries. View common industries for invoice factoring. In today’s on-demand economy, any factor can set up a satellite office in any state or even city. But while many factors companies provide invoice factoring in all 50 states, they only have a presence in a few. While not required, we always prefer small businesses to consider a local factoring company. We provide a list of invoice factoring companies based upon the companies headquarters. Deal with the headquarters location since more customer dissatisfaction comes from smaller, satellite offices that operate almost like franchises. Further, the factor will certainly be more knowledgeable about your customers and provide smarter credit and collection services. Most factoring companies are located in states such as California, Florida and Texas but there are factoring and invoice financing companies across the nation. View factoring companies by state. Invoice factoring companies are significant participants in the financing of small businesses in America. Many high-growth companies don’t have the track record to obtain traditional small business funding. And when overall credit conditions get tight, factoring may your only option. So if you’re tired of waiting for net 30, get set up with an invoice factoring company today. We provide the resources to help you make an informed decision on whether you should be factoring receivables at all, and if so, which factoring company to choose to facilitate this. While most of the players in the factoring game are trustworthy, like any industry, some try and sneak fees and penalties whenever they can. Here are a few things to look for when reviewing a factoring agreement with a prospective funder. Some customers may be old-fashioned and like to pay with traditional checks. Nothing wrong with that except that some factors don’t like the delay that they bring to the payment process. Some won’t accept them at all as payment and may even impose harsh penalties of up to 20% for invoices paid by checks! Make sure you ask beforehand, in writing, if you have customers who traditionally pay via check. You don’t want the requirement to have all of your invoices factored. Some companies will have this stipulation and it’s one that we are quite adamant against. This gives you considerable flexibility and the ability to avoid interest charges. No one knows your customers better than you, so you know which are the latest payers. Since your business will likely be penalized the longer the account debtor takes to repay, don’t begin factoring invoices from your slowest payers right away. This way, you won’t get hit with high interest charges. Even though it costs a little bit more, many businesses like the peace of mind of transferring credit risk during a factoring transaction. This is known as non recourse factoring, where the invoice factoring company will buy the accounts receivable from you, and advance you payment, regardless of whether the account debtor pays the invoice or not. If the factor won’t provide non recourse factoring, they might not be able to obtain credit insurance themselves. This is one of the ways a factoring company can offer non recourse factoring, by offloading some of the risk themselves (similar to a re-insurer). If they can’t obtain credit insurance themselves, you need to ask why? Are they too small or under capitalized? While its fine to use a factor that’s self-funded (it may even be more beneficial under certain circumstances) having the backing of a larger financial institution can lead to cheaper forms of financing, such as a small business line of credit, once your high-growth stage ends.